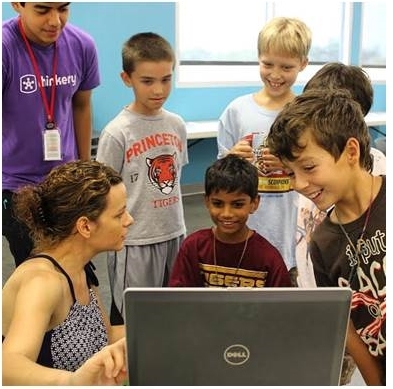 Hydroexplorers spent their week at the Thinkery investigating the science of water, from physical properties to water conservation. We capped off their week by guiding them through a Dumpster 101 water filtration lab. 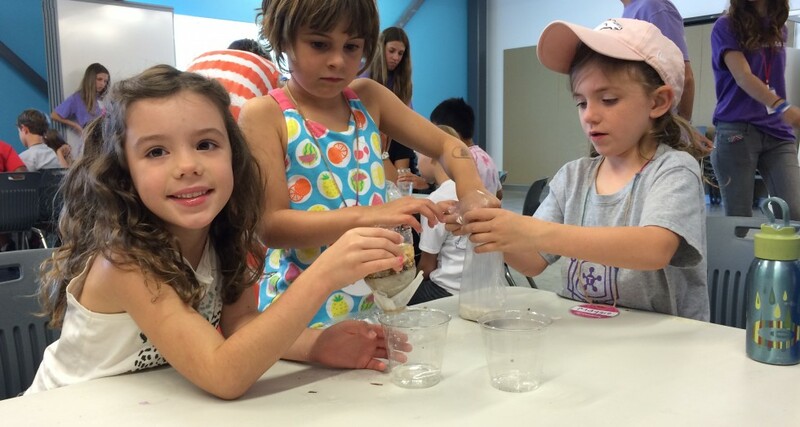 Using recycled plastic bottles, coffee filters, gravel, and sand, campers built simple water filters and cleaned the finest muddy water we could offer. 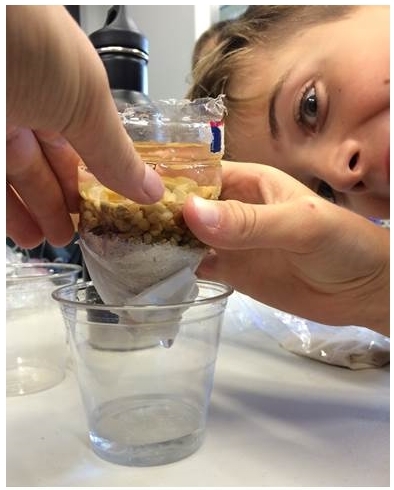 The campers learned that our simple experiment sedimenting then filtering dirty water mimics the same process that water treatment plants use. After a week of aqua-learning, the impressive campers could discuss how they would know if chemicals were in the water and talk about bacteria and viruses that still needed to be removed. Campers investigate the electrocardiogram using portable physiological testing equipment. Dumpster Science also featured in the Fantastic Human Machine camp. The campers had learned quite a bit about the body and how it works, so we wanted to show them some of the equipment that gets used to test body systems. We set up our portable physiology testing stations and showed campers how heart activity is measured with electrocardiograms (ECGs). After looking at a resting volunteer’s readings, campers got to experiment with activities that might alter heart rate and ECG. Students had very creative ideas for this part of the demonstration! Along with exercise and breathing “really fast,” campers wanted to see if making someone mad or tickling them would also affect their ECGs. Both of these labs are simplified versions of lessons in our Dumpster 101 Science Curriculum for 5th and 7th grade science. One of our favorite aspects of Dumpster 101 is that the active elements like labs are easy to adapt to many grade levels. We’re looking forward to another school year and working with students all over Austin.